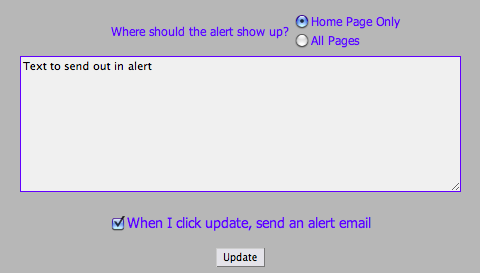 The administration area features an alert system. Users can sign up from the home page to receive any alerts posted here. Although it's not used too often, this is useful during the winter months when church might be cancelled due to weather.